Are you envious when Amazon recommends its products or when Netflix is spot-on with a recommendation for a user? Then here’s your chance to learn how to add these skills to your repertoire. 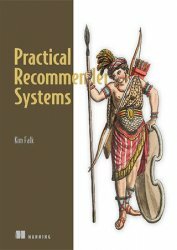 Reading this book will give you an understanding of what recommender systems are and how to apply them in practice. To make a recommender work, many things need to perform in concert. You need to understand how to collect data from your users and how to interpret it, and you need a toolbox of different recommender algorithms so you can choose the best one for your particular scenario. Most importantly, you need to understand how to evaluate whether your recommender system is doing its job well. All this and more is hidden within this book. Learn how to define strategies for cloud adoption of your Oracle database landscape. Understand private cloud, public cloud, and hybrid cloud computing in order to successfully design and manage databases in the cloud. The Cloud DBA-Oracle provides an overview of Database-as-a-Service (DBaaS) that you can use in defining your cloud adoption strategy. In-depth details of various cloud service providers for Oracle database are given, including Oracle Cloud and Amazon Web Services (AWS). 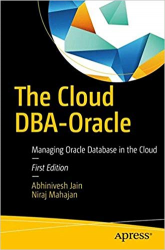 Database administration techniques relevant to hosting databases in the cloud are shown in the book as well as the technical details needed to perform all database administration tasks and activities, such as migration to the cloud, backup…You will learn from real-world business cases and practical examples of administration of Oracle database in the cloud, highlighting the challenges faced and solutions implemented. 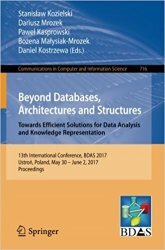 This book constitutes the refereed proceedings of the 13th International Conference entitled Beyond Databases, Architectures and Structures, BDAS 2017, held in Ustro?, Poland, in May/June 2017. It consists of 44 carefully reviewed papers selected from 118 submissions. 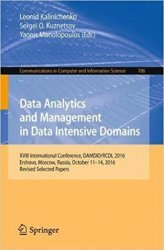 The papers are organized in topical sections, namely big data and cloud computing; artificial intelligence, data mining and knowledge discovery; architectures, structures and algorithms for efficient data processing; text mining, natural language processing, ontologies and semantic web; bioinformatics and biological data analysis; industrial applications; data mining tools, optimization and compression. 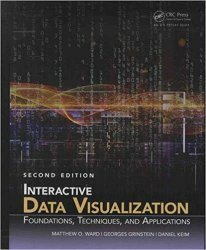 Interactive Data Visualization: Foundations, Techniques, and Applications, Second Edition provides all the theory, details, and tools necessary to build visualizations and systems involving the visualization of data. In color throughout, it explains basic terminology and concepts, algorithmic and software engineering issues, and commonly used techniques and high-level algorithms. Full source code is provided for completing implementations. Microsoft Office 2010: Brief provides a project-based, step-by-step approach to teaching the Office 2010 applications. This Oracle Press guide provides best practices for migrating between different operating systems and platforms, transforming existing databases to use different storage or enterprise systems, and upgrading databases from one release to the next. 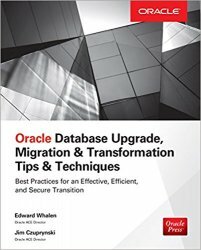 Based on the expert authors’ real-world experience, Oracle Database Upgrade, Migration & Transformation Tips & Techniques will help you choose the best migration path for your project and develop an effective methodology. Code examples and detailed checklists are included in this comprehensive resource. 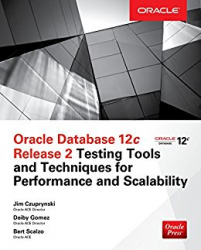 Master Oracle Database 12c Release 2 testing and tuning. You need to maintain clients, servers and networks, while acquiring new skills. Foundations of Cent OS Linux: Enterprise Linux On the Cheap covers a free, unencumbered Linux operating system within the Red Hat lineage, but it does not assume you have a Red Hat Enterprise Linux license. 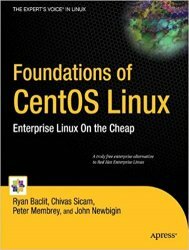 Now you can learn CentOS Linux, the most powerful and popular of all Red Hat clones, keep maintaining your network at work, and become an Red Hat Certified Engineer, all just for the cost of this book. 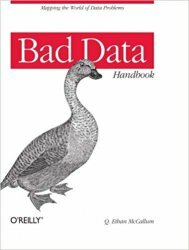 What is bad data? Some people consider it a technical phenomenon, like missing values or malformed records, but bad data includes a lot more. In this handbook, data expert Q. Ethan McCallum has gathered 19 colleagues from every corner of the data arena to reveal how they’ve recovered from nasty data problems. From cranky storage to poor representation to misguided policy, there are many paths to bad data. Bottom line? Bad data is data that gets in the way. This book explains effective ways to get around it.